Our homes are our havens, so it’s incredibly important that we invest a little time and money in making them look as cosy as can be. With our living rooms being the one room that we all tend to spend the most time in, creating a welcoming, comforting ambience is crucial because we all need a space where we can really unwind at the end of the day. Today I'm sharing three super simple steps on how you can make your living rooms as cosy, comfortable and gorgeous as possible. 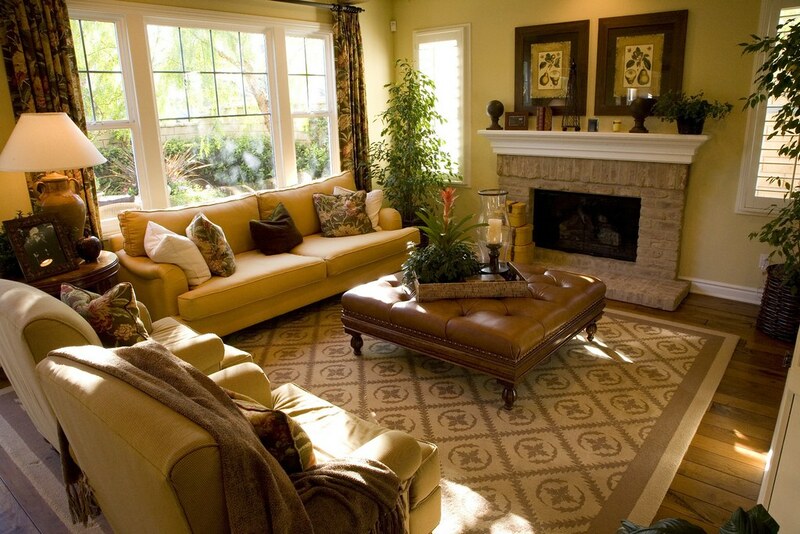 The first and best place to start when looking to make your living room cosier is the floor. The floor could be making all the difference between your living room appearing cold and dull and it instead looking chic, warm and cosy. If you have wooden or parquet floors, rugs are a 'must have' to add warmth and softness. Take a good look around at your living room space, take note of the existing colour schemes, the patterns and the overall style and think about the types of modern rugs that could really bring the room to life. With many varieties to choose from you're bound to find something that suits. Go for a soft sheepskin rug and your feet will surely thank you as they sink into it at the end of a long day. Or perhaps you're more of the bold type? So opt for large square or rectangular rugs full of bright patterns which will add a pop of colour to your living room. If you have carpet floors you can still add a rug to liven things up. Try mixing and matching different colours, textures and patterns to create a warm and cosy atmosphere. Now this one's a biggie when looking for ways to make your living room cosier. Bright overhead lighting is really not what you need or want after a long, hard day. You want to be able to come home, kick off your shoes and switch on a couple of different lamps before collapsing onto the sofa. It's essential that you have these lamps positioned around your living room to create a relaxing and soothing environment. If you don’t have many in your living room, try looking around the house to see if you can move any of your others about. Moving lamps from one room to another is an interesting and free way to make changes around your home and it's amazing what a difference it can make. Candles are another fantastic and relatively low cost way to help create the ambience you're after. Indulge in a couple of pretty, scented candles to create a soothing and warm environment and if you want to fill your living room with a gorgeous scent, then try looking for any made with essential oils. Just don't forget to blow them out before you go to bed! Pillows and throws are great for adding a homely feel to your sofa. Again look around at the existing colour scheme in your living room and think about the types of pillows and blankets that would complement the existing style. There are so many beautiful pillows and living room textiles available so there’s never been a better time to treat yourself. There's nothing I love more than coming home from work and snuggling under a soft, cosy throw whilst watching my favourite TV show.